Early morning walk and a sunrise shoot. 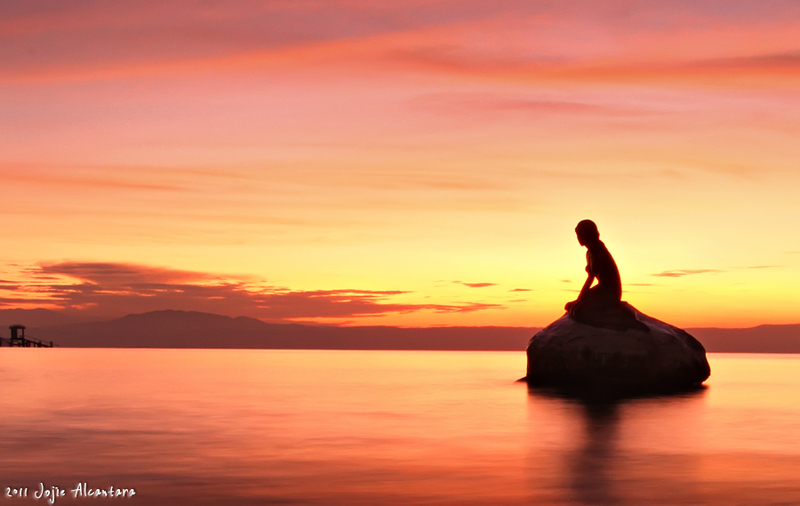 Hypnotized by the swirl of red-orange tones and yellow skies, I stepped lower with my tripod and reached down the waves, trying to capture the solitude of the replica of the Little Mermaid. At break of dawn, people started to arrive in the park, jogging, picnicking, doing aerobics, walking. She will be a little less lonely, for someone is bound to notice her. But in her misfortune and enchanted state, she continues to sit there, waiting.